(P1) Samsung halted sales of the Galaxy Note 7 smartphone Friday after finding batteries of some of the devices exploded while they were charged. (P2) Koh Dong-jin, president of Samsung’s mobile business, said customers who already bought Note 7s would be able to swap them for new smartphones, regardless of when they purchased them. Note 7 sales launched just two weeks ago. (P3) Samsung issued its first global recall of the flagship smartphone because it has not found ways to specify exactly which phones may endanger the user. The smartphones are being yanked from shelves in 10 countries, including the U.S. and South Korea. (P4) Koh said the company’s investigation found that a battery cell made by one of its two battery suppliers caused the phone to catch fire. He refused to name the battery supplier. “There was a tiny problem in the manufacturing process so it was very difficult to find out,” Koh told reporters at a news conference. 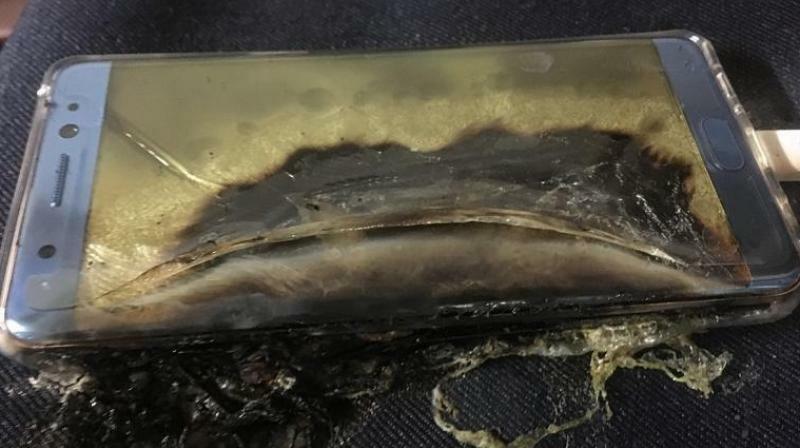 (P5) Some buyers reported their phones caught fire or exploded while charging, sharing the photos of scorched phones on social media. Samsung said it had confirmed 35 such cases in South Korea and overseas. There have been no reports of injuries related to the problem. (P6) Samsung said it has sold more than 1 million Note 7 smartphones since the product’s Aug. 19 launch. It has manufactured about 2.5 million Note 7 phones so far, some of them still in inventory. Koh said they also would be returned and swapped with new ones. (P7) The company estimated that it would take about two weeks to begin swapping old Note 7s for new phones. (P8) China is not affected by the sales suspension. The company said it used a battery made by another supplier for the Note 7 sold in China. 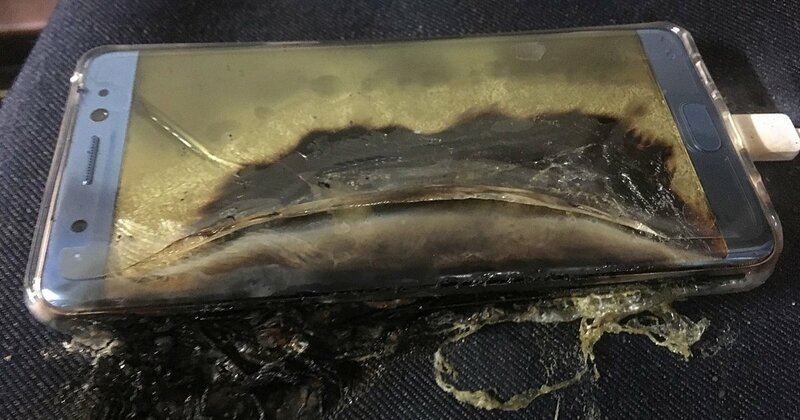 How do you think you would feel if your mobile phone exploded and caught on fire while you were sleeping? Do you think this recall will hurt Samsung’s mobile phone sales? Why or why not? If Samsung finds out which supplier made the faulty batteries, should they stop using them? Why or why not? How many suppliers does Samsung use for the Note 7 battery? How many people were reported hurt from the explosions?